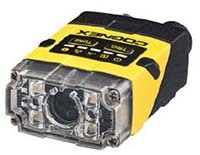 Fixed-mount barcode readers offer unmatched 1-D and 2-D code reading performance. DataMan 70 1-D and 2-D label-based codes in a compact size. DataMan150/260 unprecedented performance, flexibility, and eas-of-use. DataMan 360 the most powerful and versatile reder offering modular lighting and optics. DataMan 474 for the most challenging applications. DataMan 503 highest performing reader for high speed and wide belt 1-D and 2-D barcode scanning.